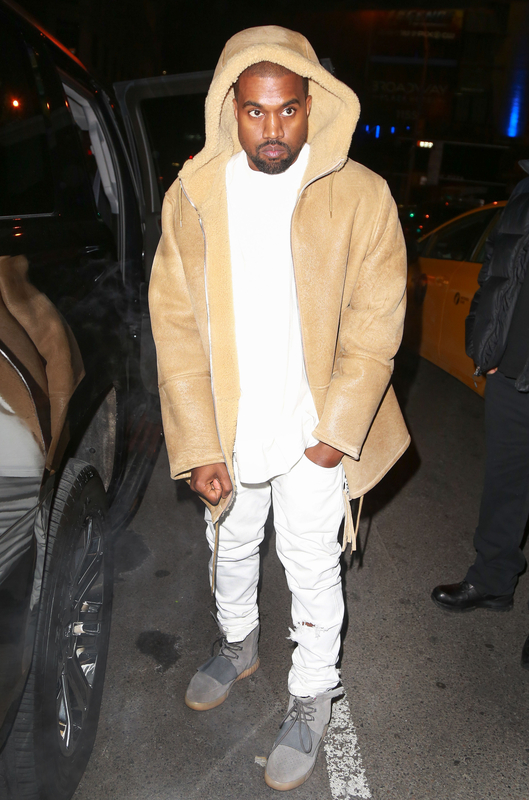 Did Yeezy just jump over Jumpman again? 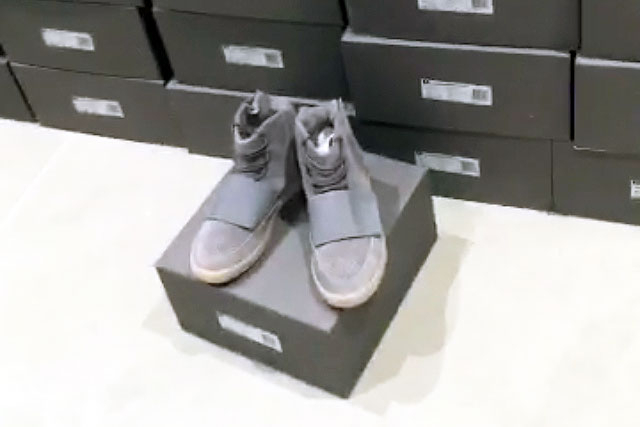 Kim Kardashian gave eager fans a preview of Kanye West’s newest Boost sneakers from his Adidas Originals collection. “Look what I walked home to,” she Snapchatted on May 18, showing off an entire wall of shoeboxes and one pair of light gray sneakers with their signature Velcro strap. “The new 750s! The amount of calls I’m going to get … "
Indeed, buzz around West’s kicks, which first hit shelves last fall, never dies down. The 38-year-old rapper, who debuted the first pair of 750s at the 2015 Grammys, tends to tease his designs by wearing them before they’re available to the general public. In April, he borrowed Kendall Jenner’s phone to Snapchat a photo of his black and white Yeezy Boost 350s, a version of the crochet knit low-tops.